The Census Bureau’s new report shows a steady uptick in the number of people without health insurance (46.6 million) and a steady decline in the percentage of people with job-based health insurance (down to 59.5% this year). With many employers priced out of the health insurance market and with an increasingly mobile workforce, it is vital that policy changes be made to give people more options. Our prescription: Tax credits and deductions to allow individuals and families to buy their own health insurance that they can take with them from job to job, and giving them new options to purchase policies that are not burdened by mandates and regulations that drive the price of premiums sky high. The Canadian Medical Association has elected a surgeon who runs an illegal private surgery center in Vancouver as its next president. Who knew! Dr. Brian Day, whose clinic provides a host of surgical procedures in Canada on a for-profit basis, will take over next year as president of the country’s largest medical association. He is a strong critic of the Canadian health care system and told The New York Times, ?This is a country where dogs can get a hip replacement in under a week and in which humans can wait two or three years.? This vote is not good news for advocates of government-run health care. A growing number of Canadian physicians acknowledge that their system isn’t working and that change is needed. Canadian medicine is heading for a dramatic transition, following last summer’s Supreme Court decision saying that the state-run health system in Quebec violates the constitutional rights of Canadian citizens by denying them access to prompt medical care and that citizens should have the right to buy private health insurance. Our colleague, Dr. David Gratzer, a true fighter for health care freedom in Canada, has an excellent piece in the National Post offering insights about Dr. Day’s election. Now if we could only get U.S. politicians to wake up to the dangers of socialized medicine. We are going to do our part by co-hosting a conference in Washington on September 19, inviting our European think tank colleagues to a Capitol Hill briefing on ?The Dangers of Undermining Patient Choice: Lessons from Europe and Canada.? Please mark your calendar now to join us. The state Assembly voted 43-30 on Monday to approve a bill (SB 840) that would create a government-operated, single-payer health care system (but without putting any money on the table to actually do it). And Gov. Schwarzenegger is endorsing a plan that would put his state in the business of extorting money from drug companies in a misguided attempt to drive down the cost of drugs for lower- and moderate-income citizens. See our articles section below for links to a number of great articles by our colleagues pointing out the dangers of California’s socialistic plans. President Bush issued an executive order that directs Federal agencies to enhance price transparency for health care. Government agencies are instructed ?to share with beneficiaries information about prices paid to health care providers for procedures?to share with beneficiaries information on the quality of services provided by doctors, hospitals, and other health care providers?and to develop and identify approaches that facilitate high quality and efficient care.? This is an important step forward toward a consumer-centered health care system. Patients must know the cost of their health care consumption to have more control over their health care decisions. We will be watching, however, the quality provisions. The devil is in the details here: patients do need better information to help them make their decisions, but ultimately, they, not bureaucracies, must be the ultimate judge of quality. Douglas and I are just back from a cruise to visit the beautiful cities on the Baltic Sea – Stockholm, Helsinki, St. Petersburg, Tallinn, and ending in Copenhagen. The region has extraordinary treasures, from Catherine’s 1,000-room palace outside St. Petersburg with its Amber Room and room after ballroom of gilded walls, painted ceilings, and inlaid floors; to the Church on Spilled Blood that is covered floor-to-ceiling inside with mosaic designs; and the Hermitage museum with its priceless treasure of European art – Rembrandts, all of the important Impressionists, and Russia’s only Michelangelo sculpture. I highly recommend putting this on your must-see-before-I-die list. The beauty of these restored treasures, either hidden away or largely destroyed during World War II and the years of Soviet rule, is just breathtaking. Several million seniors soon will begin hitting the doughnut hole in their Medicare prescription drug coverage, but it would be a mistake to heed calls for Congress to change the program now, Grace-Marie Turner of the Galen Institute writes. ?The doughnut hole is indeed a problem, and no insurance company would have designed a policy like this one created by Congress with a coverage gap and confusing trigger points,? writes Turner. ?Drug plans have been very creative in using the flexibility the Medicare agency gave them to offer plans with coverage in the gap, and 72% of seniors are in these plans.? The estimated 3 to 3.5 million seniors that will fall into the doughnut hole this year have several potential options, including reducing their costs by switching to generic drugs and by taking advantage of assistance programs offered by many states and by drug manufacturers. In another commentary, Grace-Marie Turner challenges the findings of two separate reports by AARP and Families USA that purport to offer proof that the new Medicare Part D Drug Prescription plans are not working. ?Hundreds of thousands of seniors are signing up for a type of privately run Medicare plan that delivers traditional benefits without the usual restrictions on access to doctors and hospitals,? reports The Wall Street Journal. Enrollment in private fee-for-service Medicare Advantage plans has increased from 20,000 three years ago to 802,068 as of August 1, according to the Journal. ?Typically, the greater degree of choice makes these plans more expensive than Medicare HMOs or PPOs,? reports the Journal. ?But in many counties, the generous government reimbursements allow companies to market some private fee-for-service plans at prices near or even below the premiums of managed-care plans with restricted networks.? Altogether, more than seven million seniors are enrolled in some form of Medicare Advantage plan. In a recent Health Affairs Web Exclusive, Ken Thorpe and David Howard of Emory University examine the rise in Medicare beneficiaries’ health care spending and conclude that, ?Virtually all of this spending growth is associated with patients who are under medical management for five or more conditions.? They say the findings raise questions about how Medicare pays for complex medical management. ?Medicaid remains a deeply rooted, perverse incentive that all but guarantees unaccountable spending growth by state politicians,? writes John R. Graham of the Pacific Research Institute. States like Florida and South Carolina have created innovative Medicaid programs. But most states ?are not engaging in this opportunity, preferring simply to complain about the federal government’s demands for Medicaid accountability? [and investing] most of their energy to ensure that they continue to draw down federal matching funds without limits,? Graham says. The next step in Medicaid reform should be ?a plan to convert all federal Medicaid matching funds to simple, straightforward, non-negotiable block transfers,? concludes Graham. A new study from the Center for Studying Health System Change finds that ?care of Medicaid patients is becoming increasingly concentrated among physicians practicing in larger groups, as well as hospitals, academic medical centers and community health centers.? The California Prescription Drug Initiative, recently endorsed by Gov. Schwarzenegger, has elicited a strong response from the think tank community. The program would force drug manufacturers to offer huge discounts on prescription medications to low-income Californians. Companies that fail to comply will be dropped from Medi-Cal, the health care program for the state’s low-income residents. ?Gov. Schwarzenegger wants the State of California to do what is illegal for pharmaceutical companies to do – fix prices,? writes Sally Pipes of the San Francisco-based Pacific Research Institute. ?The proposal to extort lower drug prices by removing or restricting new medicines that don’t meet a state-set price will only hurt those depending on the government for health care or prescription drugs,? writes Bob Goldberg of the Center for Medicine in the Public Interest. ?Votes are what’s behind the governor’s ill-advised prescription-drug initiative, which would force pharmaceutical companies to provide brand-name medicines at discounts of up to 40 percent to California families of four earning as much as $70,626,? writes Peter Pitts, also of CMPI. This price control scheme ?will result immediately in limited choices and availability? of medicines. California’s initiative violates federal regulations, writes Ben Zycher of the Manhattan Institute, observing that ?the federal government has made it clear it will not approve state programs that threaten the benefits of Medicaid (Medi-Cal in California) patients in efforts to reduce drug prices for those not poor.? The failure of Congress to address the changing dynamics in health care coverage ?reinforces the status quo, which ultimately leads the uninsured to depend on an inefficient and disjointed system of uncompensated care,? 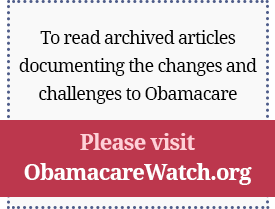 writes Nina Owcharenko of The Heritage Foundation, who warns that this lack of action ?creates political pressure to expand government-run health care programs.? A better alternative would be a ?universal system of refundable, advanceable tax credits for working Americans without employer-based coverage, enabling them to purchase their own private coverage.? By promoting fairness, choice, and personal ownership, this would ?create the conditions for a more effective and efficient health insurance market?and would transform the health care system into a consumer-based system in which individuals can regain control over their health care needs.? The growing threat to world health from counterfeit drugs affects not only developing countries but is also increasingly putting the U.S. drug supply at risk, according to Wyatt Yankus of the American Council on Science and Health. ?Globally, controlling counterfeiting will require the emergence of adequate regulatory and quality-control regimes in developing countries, reduced corruption, a crackdown on counterfeiting operations in nations where its production is prevalent and stronger penalties for convicted counterfeiters,? writes Yankus. The United States must ?increase security features and develop electronic track-and-trace capability as quickly as possible while increasing oversight and regulation of the secondary wholesale market.? Yankus also concludes that Americans must ?realize the danger posed by counterfeiting and take it into account when considering such practices as drug importation and buying drugs online.? Grace-Marie Turner will present Consumer Driven Healthcare: Is It the Answer? on Friday, September 15. For additional details and registration information, go to: www.consumerdrivensummit.com. For additional details and registration information, go to: www.galen.org.